Annual USA-England test match featured fine weather and a sunny outcome for the home team. 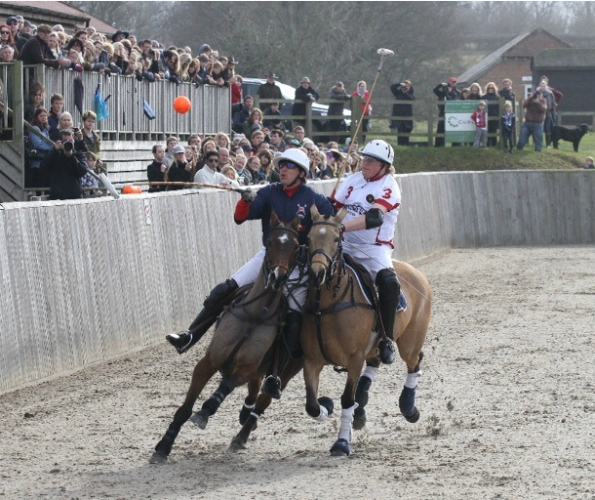 Match day for Virginia’s polo players who ventured “over the pond” to the All England Polo Club dawned rainy and dim – proper English weather – but turned beautifully sunny by game time, with solid turf under hoof, as the Brits hosted the annual USA-England test match. The weather’s improvement proved no good omen for the Yanks however; in fact their day in the arena began brightly but took a turn for the worse. 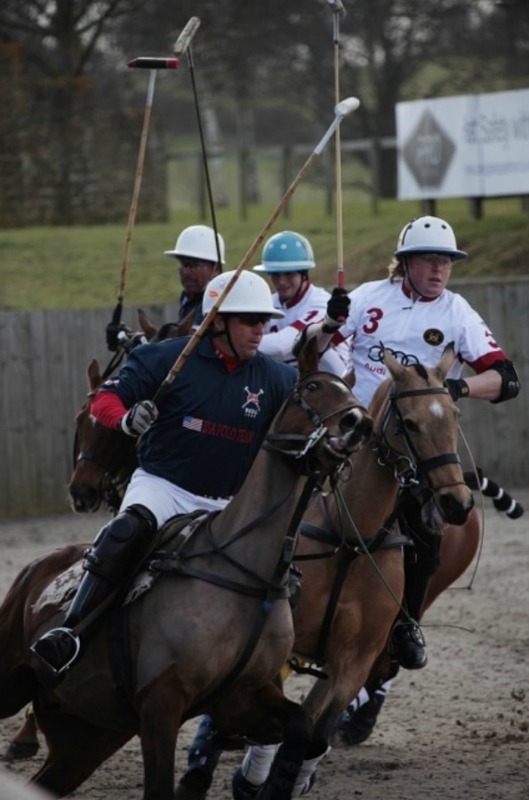 The hard-fought and exciting match represented the U.K.’s best chance for revenge following last year’s defeat in California to a talented, super-athletic U.S. team led by DC-area polo great John Gobin, Team USA captain and head honcho at Great Meadow Polo in The Plains, VA. But this year even an MVP performance from USA captain Gobin couldn’t lift the Americans to their first victory on British soil. The well-turned-out spectators took full advantage of the British sunshine, crowding the terraces overlooking the Hickstead Polo Club arena. British notables enjoying the day included Great Britain polo chair Nicholas Culquhoun-Denvers, fashion model Jodie Kidd, television personality Jeremy Kyle, and filmmaker Will Randall-Coath, fresh from his strong showing at Cannes 2011. Early on, stout defending by the “colonial” visitors and vocal field generalship by Gobin did keep things level, 5-5 in the second chukker with the “imperial” hosts up by only one goal at the half. A harassing rotation of Americans and some relentless US offensive pressure on England’s Chris Hyde, Britain’s highest-ranked player, kept the British ace off balance and forced him to defend. With Hyde neutralized early on as much as a world class player could be, it fell to his British teammates to pick up some offensive slack. England rookie Danny Muriel did just that, with two goals in the first chukker and four overall, despite being unhorsed by a ride-off delivered with distinctly American physicality. Spectating polo patron Kevin Cheshire, Muriel’s teammate and eventual MVP on the 2011 10-Goal HPA Nationals Champions, underscored the lad’s efforts. “Danny played a cracking game, shutting down some American attacks, and that second goal was amazing,” he said. Amazingly timed as well, during the early period where England was finding its footing. 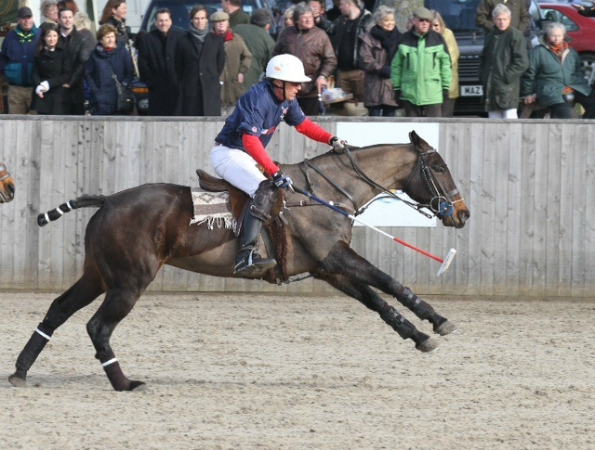 DC-area polo buffs know to expect a heroic effort from Gobin, but unfortunately so did Team England. In the 2011 match the California sun wasn’t the only thing beating down on the Brits; Gobin had imposed his will and the visitors lost the one-sided contest — and a bit of pride. This year England applied the lessons they learned from their California drubbing and adroitly addressed the main US threat. As the match progressed, the hosts proved “turnabout is fair play” and applied the Yanks’ own neutralizing tactic to Gobin and, with the US captain swarmed, the higher-rated England side wore down and outscored their guests 12-9 by match’s end. During the the post-match ceremonies, British fans were also treated to Gobin’s trademark smile, as the Virginia native somehow both graciously and audaciously accepted the runners-up, MVP, and best playing pony awards, as well as the second-loudest applause (Muriel the crowd favorite). And the English handed it right back to Gobin, who certainly won the hosts’ respect if not their trophy…this year.